Amazon being the world’s largest E-commerce platform is suffering from the shortage of computer engineers. This proved to be a great worry for them. So the company has decided to launch a program where they will teach nearly 10 Million students to code. Amazon also said that they will pay for summer camps, teacher training, and other initiatives to benefit kids and young adults from low-income families who might not have learned to code otherwise. The main reason behind this is very clear. They wanted to ensure their future hiring process safer and more reliable. The program aims to teach more than 10 million students a year which is quite high in number. One more thing to take in the notice is that the Amazon has declined to put a price tag on their program, called Amazon Future Engineer. But said that it will take up more than $50 million that is committed to spending on computer science education last year. Rest other big companies such as Microsoft and Facebook have also committed that they will provide cash for bringing coding to schools, which could ultimately benefit the companies anyway. Amazon’s chief executive of worldwide consumer MR. Jeff Wilke has said that he hopes some of the students who go through the Amazon Future Engineer program, will work for the company, creating skills for its Alexa voice assistant and programming its delivery drones. At the same time, he also said that other companies are increasingly relying on technology, and coding has become a valuable skill to more employers. The program Amazon Future Engineer will offer kids in kindergarten through eighth-grade free summer camps and after-school programs that will take place in Amazon offices around the country. 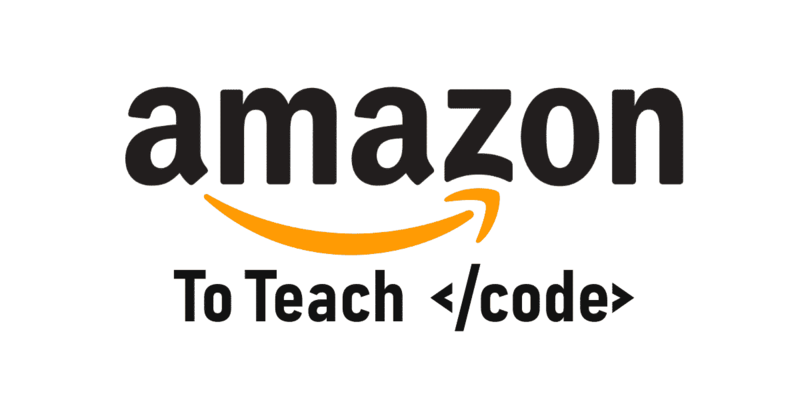 Not only that the Amazon employees will also volunteer, online classes, lessons, and games will be provided by Amazon’s partners, such as Code.org and Coding with Kids. The company also plans to offer scholarships and internships to college students. Students can apply to the program through AmazonFutureEngineer.com. Also Read– What is programming | Introduction | How to begin? So what you think on this Amazon’s Initiative?. Do let us know in the comment section below.